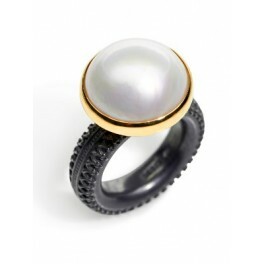 Oxidised silver ring with 18mm round mabe pearl set in 18ct gold. A stunning large mabe pearl at the centre of this ring is balanced with a wide ring shank featuring Marianne's signature surface detailing reminiscent of ironwork or brocade detailing. 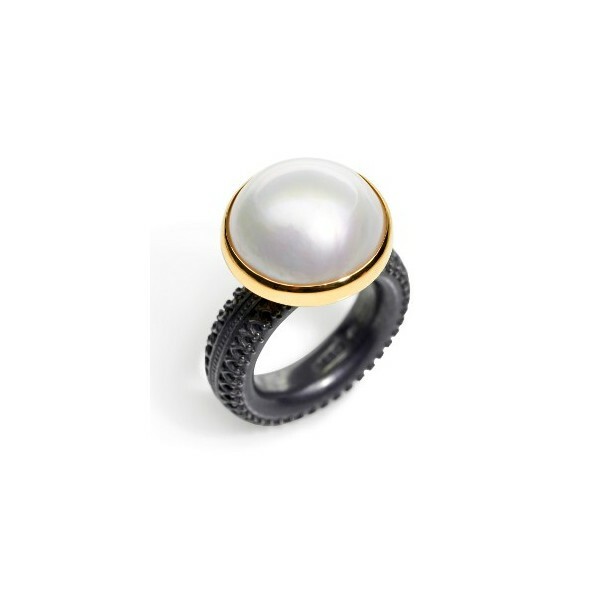 A contemporary piece with real impact and elegance, this pearl ring has a beautiful lustre and due to the availability of the unique pearls, this is a limited edition ring. The thickness of the band is 8x4mm with an oval profile. 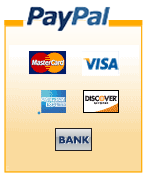 The pearl measures 18mm in diameter.